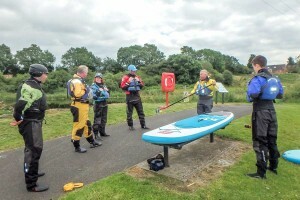 CCKA members recently completed the British Canoeing Discipline Support Module in Standup Paddleboard. 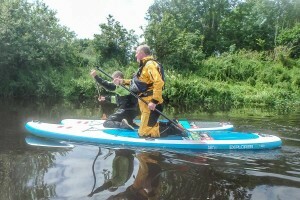 Six members of CCKA recently completed the British Canoeing Discipline Module in Standup Paddleboarding. 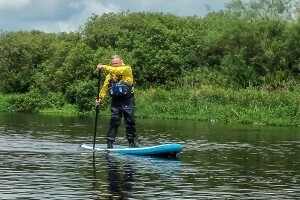 Stephen Millar from Tollymore National Outdoor Centre ran the course for 6 members, keen to try the upcoming Paddleboard course. Adrian Hodge kindly provided the venue of the Scout Hut in Randalstown. The River Maine flows near by to this made for a great paddling location. 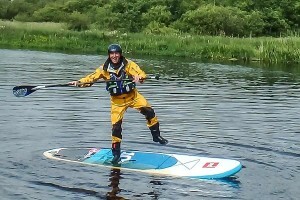 Stephen had brought a selection of boards to try out. These included blow up, white water and hard surf versions. All had a different feel and handled in different ways. It wasn’t long before everyone found their feet and started to show off their acrobatic abilities. 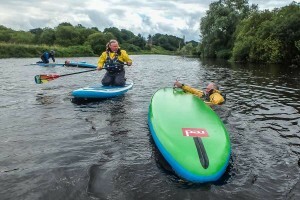 The British Canoeing Discipline Modules include various skills for the BC coach to bolt onto their paddling toolbox. Designed for coaches looking to gain more knowledge in a specialist discipline, the Discipline Support Modules are courses that introduce the discipline’s fundamental techniques. 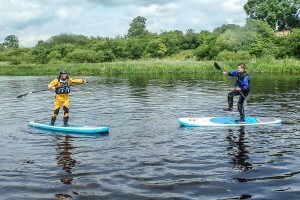 As qualified coaches, most of the paddling and coaching skills easily transfer across to the paddleboard. 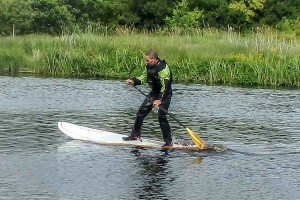 Some paddling habits from canoe and kayak however do not work with a paddleboard. 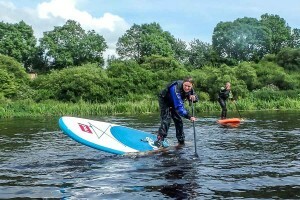 Everyone had a great day and paddleboards are a lot of fun. The weather also helped. 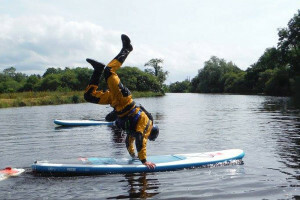 Hopefully the club will be able to get its hands on some boards for other club members can have a go.